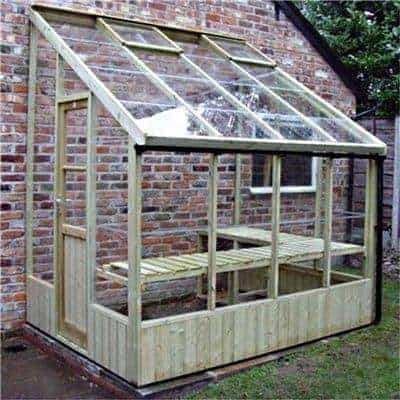 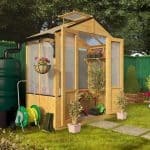 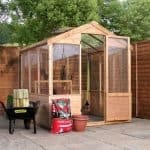 A superb large lean-to greenhouse which comes ready to go, meaning no self-assembly! 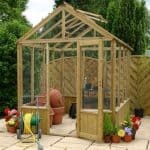 It is complete with all vents, auto openers, damp barrier and toughened glass. 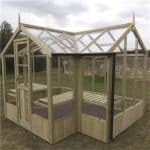 Constructed from premium high quality wood which is already pressure treated it is a fantastic addition to the garden. 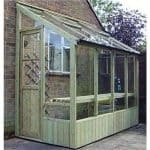 The windows are constructed using toughened glass and sealed with silicone. 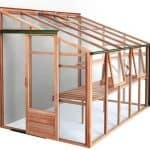 You will delight in spending time in the Dove greenhouse.